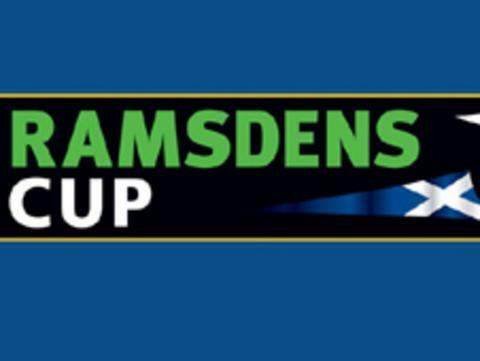 Lewis Bonar struck twice as Stirling Albion eased past Deveronvale in the first round of the Ramsdens Cup. Bonar opened the scoring from the penalty spot in the 19th minute after Scott Fraser felled Joshua Flood. And his low finish from Scott Davidson's cross stretched the Division Two side's lead after 48 minutes. Mike McKenzie's 30-yard free-kick pulled one back for the Highland League side, but Gavin McPherson rifled in from 12 yards on 63 minutes. Deveronvale: Gray, Rae, Dlugonski, Fraser, Barclay, Henry, Cowie, Rodger, Meldrum (Chris Blackhall 53), McKenzie (Mountford 85), Lombardi. Subs Not Used: Skinner, Jamie Blackhall, Tait. Stirling: Filler, Jacobs, Allison, Thom (McSorley 83), Crawley, Flood, Fagan, McCulloch, McPherson (Cook 83), Bonar, Davieson. Subs Not Used: Dillon, Ashe, Reidford. Goals: Bonar 19 pen, 48,McPherson 63.